Click titles to order the following books directly from the author. Winner of the River Teeth Literary Nonfiction Book Prize Salisbury takes us from abject poverty in rural Iowa during the Great Depression, with a half Cherokee-Shawnee father and an Irish American mother, through war and peace and protest to the freedom and solace of university life. 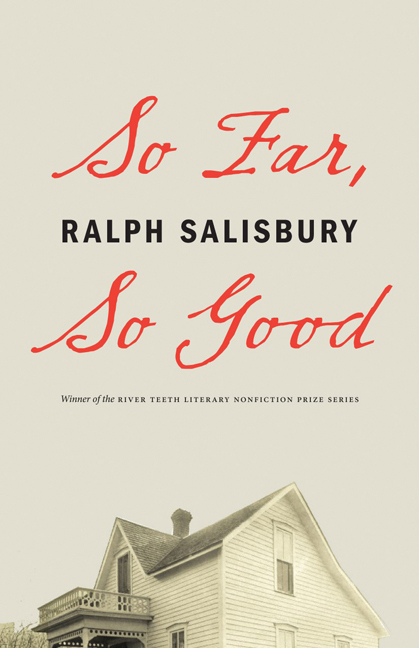 "Although Ralph Salisbury may refer to himself as "A Killer Seeking Forgiveness," this collection of his new and selected work shows him to be one of the most thoughtful and moral writers of his generation. Without ever sacrificing literary excellence for self-righteousness or eloquence for polemic, Salisbury's memorable poetry reflects not only his long full life and the Cherokee culture that has helped shape his vision, it is also a corrective lens through which we may view anew the story of our American nation." "Ralph Salisbury has established himself over a long and productive career as a voice of sanity in a world riven by war, racism, and despair. His poems teach us, among other important lessons, the constant need for compassion. We are grateful for his new poems in Blind Pumper at the Well." "Ralph Salisbury’s Blind Pumper at the Well bears witness to human suffering and to the horrors of war. The poems are generous and kind. Salisbury celebrates the beauty inherent in family, the mysteries of loss, the sadness of the human condition, and through scrupulous reflection, arrives whole, wise, and in the moment. Blind Pumper at the Well is a gift. "Ralph Salisbury’s poems in this latest volume are witness to his genius for words, witness to his reverence for language, and they show his deep and abiding concern for the human loss in wars and the rumors of war. As an artist, Salisbury is at his best here: time and time again the force of his words is framed in sturdy periodical sentences that hit you smack between the eyes with their crescendoing, image-packed truth." "Salisbury's stories are engaging and unique. He has a distinctive approach to assembling the elements of a narrative. The 'facts' might be revealed directly, but they are more likely to emerge in small fragments of illumination, like pieces of a dream. War in the Genes is a fierce, sweeping collection that brings a deep awareness of Native American history and spirit to the difficult American present. Ralph Salisbury shies away from nothing in his poems -- not anger nor indictment, not love nor praise. "A collection of poems that interweaves family tales with personal and tribal history. Conjuring images that define his life - from the vanishing farming and hunting traditions with which he was raised to his experiences in World War II as a member of a bomber crew - he has produced a haunting, powerful work that expresses his devotion to the Cherokee religion and its harmony with the forces of Nature.